Care Packages for Soldiers: Thank You Frisco Chamber of Commerce For Your Donation! Thank You Frisco Chamber of Commerce For Your Donation! The Frisco Chamber of Commerce delivered 24 boxes of items for the troops. They collected the items, decorated the boxes and wrote thank you cards for every box. 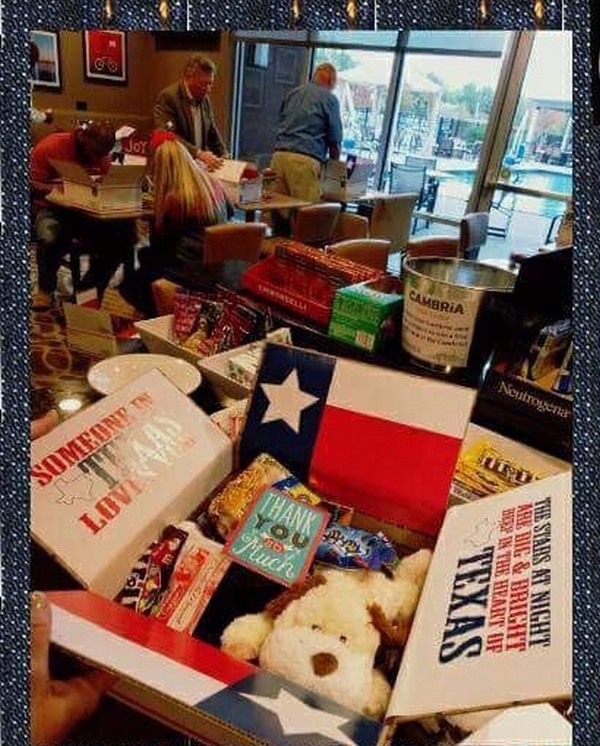 The soldiers are sure to appreciate the "Love from Texas"! Here is one of the boxes the Frisco Chamber of Commerce donated. The Frisco Chamber of Commerce delivered 24 boxes of items for the troops.